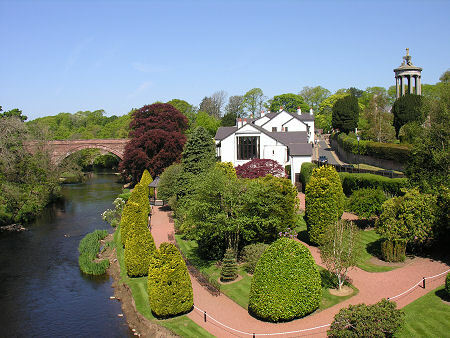 Alloway was once a distinct village separated from Ayr, two miles to the north, by open countryside. 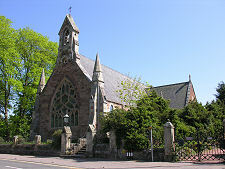 Today it is best thought of as a leafy suburb on the southern edge of Ayr, though areas of parkland and golf courses do help it retain some physical distinction from its larger neighbour. Alloway's origins date back into the mists of time. Auld Kirk Alloway, was built in 1516 around an earlier church that seems to have dated back to the 1200s: and the presence of a nearby holy well associated with St Mungo suggests that people may have been living and worshipping here considerably before then. The original village of Alloway seems to have grown around the church and on the north side of a ford allowing routes south from Ayr to cross the River Doon. In the 1400s a stone tower house, Newark Castle, was built on rising ground half a mile south west of the river crossing, and at about the same time a narrow, highly arched stone bridge was built across the River Doon here. 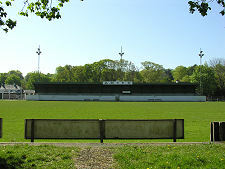 This is better known today as the Brig o' Doon. 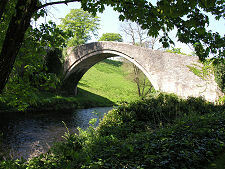 The Brig o' Doon continued to serve as the main crossing of the river until replaced in 1816 by a new bridge built a couple of hundred yards downstream. This still carries the main road through Alloway south towards Maybole and beyond. When the 1816 bridge was built it was originally planned to demolish the original Brig o' Doon. But these plans were overtaken by the second factor that has ensured Alloway retains its distinct identity: Robert Burns. 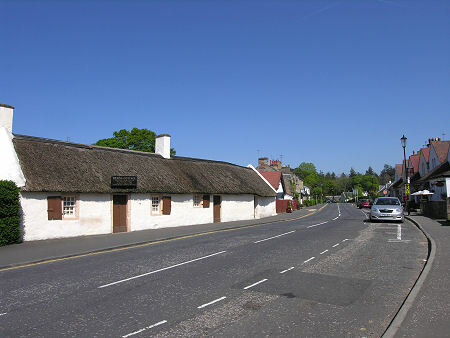 Burns was born in a cottage in what is now Alloway's main street in 1759. 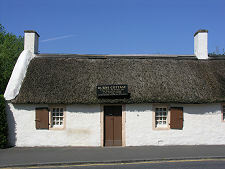 The cottage in which he was born became an ale house in the 1780s and by the time of Burns' death in 1796 his fame was so great that a steady stream of visitors were being drawn to Alloway to see - and drink in - the cottage in which he was born. 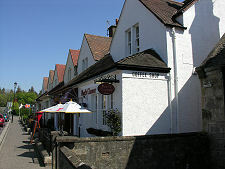 So many fans of Burns began to make the pilgrimage to Alloway that the ale house had to be extended to cater for them. From that time on, the story of Alloway has become synonymous with the name of Robert Burns. 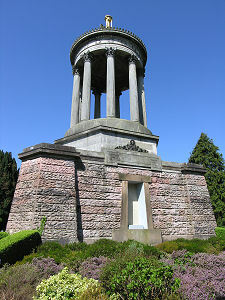 Between 1820 and 1823 the Burns Monument was erected in a landscaped garden on a hillside overlooking the Brig o' Doon. Meanwhile, the Brig o' Doon itself was saved from demolition by popular demand because it served as the setting for the climax of Robert Burns' greatest poem Tam o' Shanter. 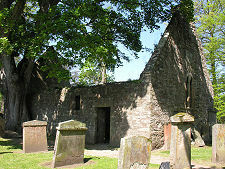 And the ruins of Auld Kirk Alloway, which also featured large in the same poem, became another essential stopping-off point for the growing band of Burns pilgrims coming to Alloway. In 1881, the trustees of the Burns Monument purchased Burns Cottage and spent the next twenty years restoring it to its original condition. 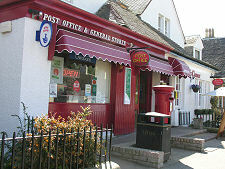 Today's Alloway continues to be defined largely in terms of its connection with Robert Burns. In late 2010 the National Trust for Scotland opened its new £21 million Robert Burns Birthplace Museum a magnificent building and a worthy focal point for the other Burns related attractions in the village.